Take a look at Cornwall for cottage holidays in one of the loveliest parts of England. 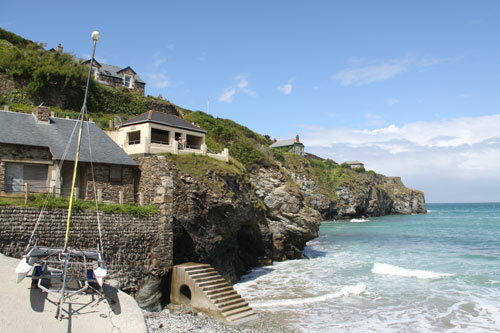 Cornwall in the far south west of England is the place for a family beach holiday in Britain. The weather is kinder, there is a huge choice of beaches from long sandy stretches to tiny secluded coves, cliff top walks and so many places to visit. It is impossible to go on holiday to Cornwall and be bored. There is oodles of history and quaint former fishing villages with narrow winding lanes leading down to the old harbours, legends of King Arthur, National Trust estates to visit, more gardens than you could possibly admire in any one holiday, the Eden Project. theme parks and lots of other tourist attractions. The scenery is superb; take your camera and start snapping, the county offers beautiful scenery on the coast and inland. Take a look at our selection of self catering cottages in Cornwall, find somewhere comfortable to stay and enjoy exploring that beautiful and rugged Cornish county, home of cream teas and beach holidays.